(Hope you smiled.) And now let’s talk cake. 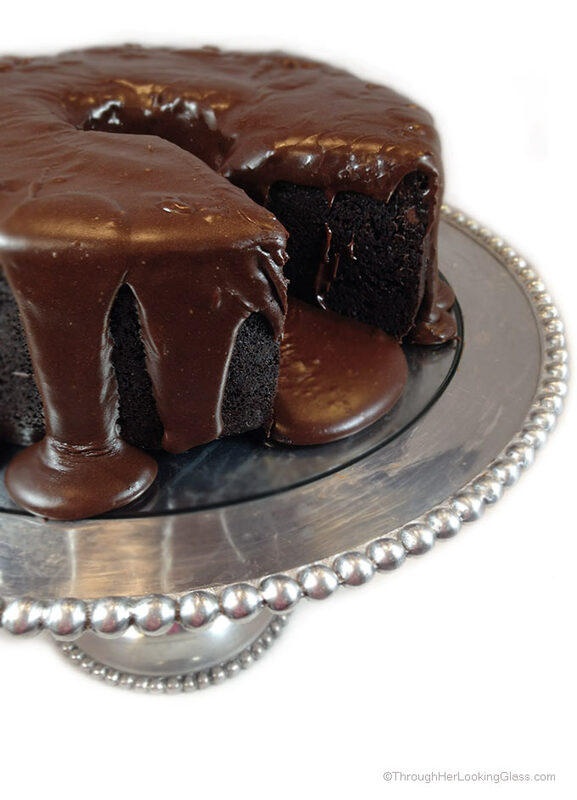 An excellent chocolate cake recipe’s like the little black dress. (Or suit.) Important to have in the wardrobe (recipe box) when the occasion arises. Not like you’ll need it every day or even every week, but there when you need it. Yes, that’s exactly how I feel about this luscious chocolate cake. So I’ve been on a quest for some time (years) to find the perfect chocolate cake recipe. Dense and rich. With a to-die-for ganache icing. And not too many crazy steps to put it together. Yeah. Thought I found that recipe a few years ago. There was a chocolate cake recipe I really loved. But then I found this easy recipe for Brick Street Chocolate Cake. Truthfully, it found me. I’ll tell you how. A friend who happens to be quite a wonderful baker in the south messages me, says she has a chocolate cake recipe to-die-for and I should put it on the blog. Says it will make me famous. So here’s an example of a blessing in disguise. (Very disguise.) Lo and behold several months after that conversation my oven actually bites the dust. And we have to replace it. With her words still echoing, I choose an oven with a convection feature. Well I’m just so glad we did. (And so are you.) Because now you have this awesome recipe too. And if you don’t have a convection oven to bake it in like me, well then… you’ll just have to find one! IMPORTANT UPDATE!!! Great news, the Brick Street Chocolate Cake recipe has now been adapted for baking in a regular, conventional oven. Click HERE for the recipe! Chocolate on steroids. If you’re looking for the best chocolate cake recipe, this is by far the best one I’ve made. 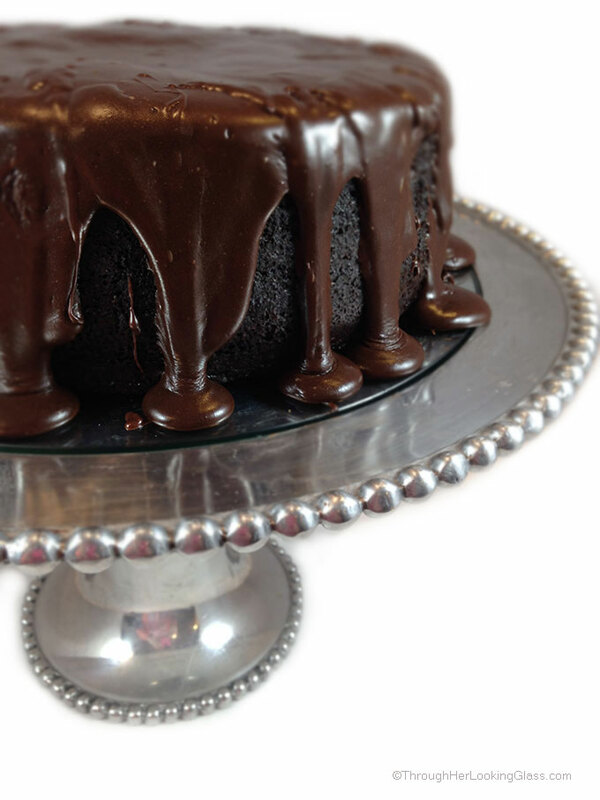 The recipe for Brick Street Chocolate Cake comes from Brick Street Cafe in Greenville, South Carolina. I lived in Greenville for many years and dined at Brick Street Cafe on several occasions. It’s a lovely downtown restaurant on the west end housed in a former brick mill, hence the name. I bake this Brick Street cake in a two-piece, round, metal angel food cake pan, also called a tube pan in some places. There is a hollow tube going up the center of the pan. It measures 9.5″ across at the top and 8″ across at the base and is 4.25″ high. It is manufactured by Ecko. 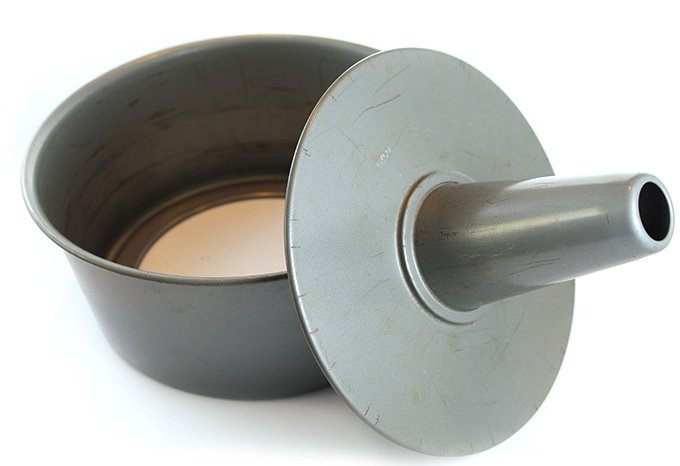 The bottom and center hollow tube are one piece and lift up and out of the sides of the pan. Unfortunately there aren’t standard size baking pans around the world, making it difficult, but I hope this gives you a good idea. Many others have baked this in a large bundt pan as well, with good success. IMPORTANT UPDATE!!! Excellent news, the Brick Street Chocolate Cake recipe has now been adapted for baking in a regular, conventional oven. Click HERE for the recipe! I bake this Brick Street cake in a two-piece, round, metal angel food cake pan, also called a tube pan in some places. There is a hollow tube going up the center of the pan. It measures 9.5" across at the top and 8" across at the base and is 4.25" high. It is by Ecko. The bottom and center hollow tube are one piece and lift up and out of the sides of the pan. Unfortunately there aren't standard size baking pans around the world, making it difficult, but I hope this gives you a good idea. Many others have baked this in a large bundt pan as well, with good success. I had a chance to try this amazing chocolate cake this past weekend at our church's "Festival of Gifts" -- thanks, Allie for sharing this gift! (The cake and the recipe and your time putting it together so beautifully!) It is some SERIOUS chocolate, dense and moist. A little goes a long way! If you love dark chocolate, you'll love this cake. Hi Allie. I see in the recipe it says to bake it in a Convection Oven. Is there a way to bake it in a regular oven? Good news Kathleen, recipe has been adapted for baking in a regular oven. 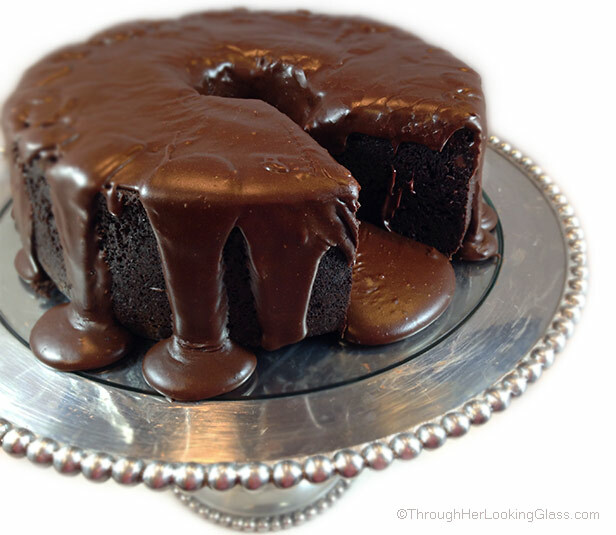 See post here: http://throughherlookingglass.com/conventional-ove…t-chocolate-cake/ Enjoy! Hi Allie, the link to the recipe for baking in a regular oven says "file not found". Can you fix this? Thanks so much. Felisa, I'm really glad to know this, thank you. Weird thing is -- when I went in to fix it, the correct link is in there on my end. I'm not sure why it's saying file not found. Here's the link to the Brick Street Cake for regular oven: http://throughherlookingglass.com/conventional-oven-brick-street-chocolate-cake/ Happy baking! I made this cake the other night. I followed the traditional oven recipe. I have to say a million thanks. This is the best cake I have ever eaten. I wish I could attach the pic of my finished product. This is my new go to recipe. Husband and friends say I'm never allowed to buy a cake again. Hi Rita - Thanks so much for dropping by and letting me know about your cake! So glad everyone enjoyed it. I wish I could see it too. If you want to send the pic.to allieg8or37@gmail.com I would love to see it. But I really wish you could attach the pic. here so that everyone can see it. I'm making this cake for my sister's birthday this weekend. Can't wait! Happy Thanksgiving to you and your family. Do you just have to grease the oan or should I be flouring the pan as well? I saw you mentioned that if you use a bundt pan to dust. Is this suggestion the same if using a tube pan? Hi. What size cake pans, please? Hi Lori, I bake this in a two-piece round tube pan that measures 9" across the base and 10" across the top. Hi! By 2-piece 9 inch cake pan, do u mean two cake pans? I'm confused because your cake looks really tall there. Is it a round 9 by 3 inch cake pan? Hi Diana - No, I mean a tube cake pan that that has a tube coming up the center. My tube pan come in 2 pieces. The bottom and the tube part nest inside the rest of the pan. So when I remove the cake from the pan, I loosen all the side edges with a sharp knife, the lift out the cake by the center tube. Then loosen the bottom edges and around the center tube with a sharp knife before I turn it out. Describing cake pans can be confusing, I hope you know the kind of cake pan I am talking about now. Let me know if you don't, and I'll send a picture to your e-mail. Unfortunately I can't include a pic. here in the comments. Hi Anne- I do think a bundt pan would work as many people have reported they baked it in a bundt pan successfully. I have not baked it in a bundt pan myself. I would be especially careful to grease the bundt pan very well in every nook and cranny and dust it liberally with flour. Or even better, cocoa powder. I hope you have a perfect success and a wonderful Brick Street chocolate cake!!! Happy baking! Hey Ramona, I've loved meeting you on this blog journey. Love your new blog name Kitchen Simmer! It just fits!!!! Many thanks for the well wishes! I made this for a bunch of hungry college age kids. Instant hit! My whole house smelled like chocolate. It was so amazing! Thank you for sharing. Oh my, Allie, this cake looks amazing, my mouth is watering, just thinking of grabbing a piece of this cake! I am going to bake this week! Happy anniversary! Thanks Gaila, have loved meeting you on this journey. Congratulations on your one- year blog anniversary yesterday. It's a big milestone and one to celebrate! With soups....or chocolate cake!
? ?happy birthday thlg?? This cake is to die for! So glad you found Your convection oven! Keep up the wonderful blog posts! Congratulations. Hi Barbara - I baked it on the convection setting of my oven that was set to 350 degrees. What do you do if you don't have a convection oven? Hi Rebecca, the Brick Street Chocolate Cake recipe has now been adapted for baking in a regular, conventional oven. You can see the recipe here: http://throughherlookingglass.com/conventional-ove…t-chocolate-cake/ Happy Baking! Confused sorry. So I set my convection to 350 which will change to 325 or do I set it for 375 which will change it to 350. Am I over thinking this? Hi Rie, if you bake it in a convection oven, just set the temperature to 350° and you're good. The recipe has now been updated for a regular oven too, use the following link if you prefer. http://throughherlookingglass.com/conventional-oven-brick-street-chocolate-cake/ Happy baking, I hope you love this cake! This cake looks 5star all the way. Hi! Can you bake this in round cake pans for a layer cake? Wow! What a cake! I got to try it too and LOVED it! I also got a new oven with a convection setting. I think the stars have aligned for a reason here. :-) If nothing else I can wallpaper my house with pictures of this gorgeous cake. Happy Anniversary! Here's to many more years to come! Happy Anniversary to you and your blog! That definitely deserves a big slice of cake! Wishing it wasn't breakfast time right now...your cake is stunning! Hey Michelle - thanks so much for dropping by the party today. Wish I could give you a real slice of this cake. Thankful we're on this journey together, and also for your kindness (and help) to me as a new blogger. I always enjoy visiting your beautiful site, learning new things and getting great recipes. Happy Anniversary! I enjoy your blog so much and the recipes aren't too bad either! May you have many more years of 'blogging' and making our days so much better because of it! Happy Anniversary!!! So incredibly proud of and glad for you. :) I'm with Sheryl...until I get that convection oven, I can paper my walls with pictures of that beautiful creation. Yummmm!!! Oh thanks so much Susie. I do hate to think of you wallpapering and not eating this yummy cake. I will make you this cake someday. Deal? It keeps telling me that this page no longer exists. Am I missing something here? Allie, I can not believe you are only 1 year old in blogging!! You are INCREDIBLE and have grown so much this year! I love following you and feel like blogosphere friends! Congrats and gimme a fork to help you dig into this cake!! You're kind Kristen! I've definitely learned so much from you and your blog, and thankful for our friendship across the miles! Would love to share a piece of this cake with you. Happy, Happy Anniversary to you and THLG!!!??? I am so fortunate to have been able to take a back seat on your blogging journey. You have taught me so much about blogging and life! Thank you my friend! !You have given many people the chance to get to know you and your beautiful family. We have all laughed, cried and learned a lot from you and your wonderful stories. We now also have a good size collection of fantastic recipes.? So thank you again for all that you give. I wish you many more very successful years with THLG! Now I am ready for a piece of that decadent chocolate cake. All I can say is WOW! Love you! Thank you so much Sherri! Glad you're loving this cake and hope you get to indulge in a thick slice very soon! Oh my goodness, this chocolate cake looks so good! I would say the convection oven feature was worth it! Thanks so much Marye, and I agree. We had to pay a little more for the convection feature, but it's already paying off !!! I've never been so glad to have a convection oven! This cake looks divine. I would say this is a great way to celebrate your blog birthday. Happy birthday Through Her Looking Glass! Happy birthday to you (on THLG's behalf), my love. So proud of you. The cake lived up to the hype. Yum! Wow! It's been a year already?!? Happy Anniversary, Allie! You're doing a great job! Thanks for the awesome recipes and those stories! I just have to remember to read your stories with Kleenex nearby and prior to applying makeup. They are memorable! Thank you! Dear Shashi, some mornings I look up at the door, practically expect you to walk through. You've promised me some visits, sister. :) Thanks for all you do to brighten my day, I so enjoy visiting your blog. It's a joy to be friends with you, aside from the blogging. So grab some cake and let's party!!! Allie you are so so sweet! You never know I might end up doing just that - though your boys would not wanna share their cake - I know I wouldn't wanna share any if I were them! It's an honor and joy being friends with you too! And seriously - one year only??? Am blown away!!! I cannot wait to see you soar even higher this next year! What a year of amazing recipes, funny anecdotes and heart moving stories! Allie I am so proud to call you cousin and friend. Your gumption with THLG has inspired me. Thank you for blessing my life and many others with the leap of faith adventure you began one year ago! Ooooo.... Frangelica, Creme de Cassis. Next time for sure. Thanks Tony! Hey thanks Sharon! Yup, faceplant! I'll dive in with ya! This chocolate cake is a delicious way to finish off any dinner! It's moist, rich, and loaded down with frosting. It's a chocolate lovers dream come true! That chocolate cake looks divine! Congratulations on your blogaversary! Haha! Kids and emojis... so funny! Or should I say .... ??? ?? [ ;-) ] Thanks for your kind words. It has been lovely sharing this journey, and I really am so grateful we met. Have an awesome weekend! Can I have a slice for breakfast? It looks amazing! You absolutely may! With a cold glass of milk for protein. Thanks for dropping by! CONGRATULATIONS, ALLIE!!! So EXCITED for you!!! I can't believe it's been a year already! The cake looks AMAZING! It's DRIPPING with frosting! Your photos are worth a thousand words. Take time to drink in this special occasion, Allie;)! Keep moving forward. I pray there are many more successful years ahead. I can't wait to hear all about them:)! Love you! Ann, thank you SO much for dropping by from #dishofdailylife, a treat to have you here. I don't believe I've reached celebrity status (yet), at least they haven't told me, but maybe that's a good thing. I sincerely hope you love this chocolate cake! Have a wonderful weekend! Happy first Blogiversary, Allie. Cheers to that! And thank you so much for this invite, — you are so awesome! I want a BIG slice of this droolicious, cake. Wish you more and more success. Hey thanks, and for coming to the party Anu!!! Have so enjoyed getting to know you and your little one, and your beautiful blog. I learn so much, love seeing all the pictures and VIDEOS!!! :) Have a beautiful weekend! Thank you for the good wishes!!! Ooooh I have a convection oven!! So need to make this. Chocolate cake is my absolute FAVE! I know Des, I have a weakness for chocolate cake too. So glad you have that convection oven... thanks for dropping by! Thank you so much Lisa, it's my favorite chocolate cake ever. Thanks for dropping by and have a wonderful weekend! Allie, congrats on your blog's anniversary! It is one of my lives simple pleasures, a nice cup of tea and reading your blog. I always look forward to it. This cake looks beautiful. I might have to work on breaking my oven so I can get a new one with convection setting. Congratulations on your 1st Blogiversary, Allie! Woohoo! I have no words to describe that cake - wow, wow, wow! Now I wish I could have a convection oven too so I can make this - it looks totally divine! Congratulations! :D And congrats on this incredible cake too! It looks so good! Can you explain to me why this won't work in a regular oven? Looks delicious. Hi Marji, great question. I wish I knew the technical answer and maybe I should call the Brick Street Cafe in Greenville to ask. The friend who sent me the recipe said she tried baking it in a regular oven and it turned out soupy, and not to even bother trying it in the regular oven and wasting the ingredients. One of these days I might though, just to satisfy my curiosity too. If I find out anything more technical, I'll definitely let you know. Thanks for dropping by. I am crying over the fact I do NOT have a convection over...boo hoo! I guess i just need to make a trip up to SC to give it a try. Dear Jane, update! The Brick Street Chocolate Cake recipe has now been adapted to bake in a regular, conventional oven. Visit this post to get the scoop! http://throughherlookingglass.com/conventional-ove…t-chocolate-cake/ Happy baking! Hi there! I live in Greenville and I am hoping your friend has the recipe for Brick Street's Sweet Potato Cake!!!! It is honestly the most delicious cake I've ever eaten! The choco cake is to die for as well!!! Thanks for sharing! Dear Jodi, I have heard of that delicious cake and I would love to also put that recipe here on the blog! I'll have to do some sleuthing and see if I can find it. Thanks so much for dropping by! Congrats on your one yr Anniversary! I saw this on Pinterest and just knew you were connected to Greenville SC. Brick Street is one of my office'ß special treat lunch places. Do you have a recipe for their coconut cake and ultimate grilled cheese sandwich? You need to come back to Greenville to see all the growth. Can not wait to make this cake!! Hi Kathy, thanks for the kind words. Tho I'm kind of jealous that you get to eat Brick Street yum whenever you want. But I'll forgive you. (I'm nice like that.) You are the second person from Greenville who has commented today suggesting other recipes from Brick Street. I must get on that and do some research! I love all the wonderful things Greenville has done downtown, it's now a destination for sure! And a beautiful one too. We were just there in April for a wedding, I try to get down once a year if I can. We had dinner at Rick Erwin's Nantucket Seafood and it was delicious. I used to regularly lunch at Falls Cottage overlooking gorgeous Reedy River Falls. Of course the suspension bridge is there now, but I don't think the restaurant is called Falls Cottage anymore. It was such a quaint little place. I hope your cake turns out spectacularly! Thanks for dropping by. Any chance that a convection *toaster oven* would work? I checked the volume of a tube pan and it is equivalent to two 9x5 loaf pans. Maybe I could try one in the regular oven and one in the toaster-convection oven. Hi Leslie, I honestly don't know if a convection toaster oven cooks the same as a regular convection oven. I googled it but couldn't find a definitive answer. But if you decide to try it, please come back and comment to let us know what happened, because others may be wondering the same thing. Many thanks for dropping by! My experiments worked beautifully! I used 2 9x5 loaf pans for the equivalent volume of a tube pan. The convection toaster oven worked just fine - 60 minutes @ 350. I baked the other loaf pan in my regular oven at 375 for 50 minutes. It was a tad drier and I should have checked it at 45 minutes. But both are delicious! I think if I had pulled the one from my regular oven a few minutes earlier there would be no difference at all. Wonderfully moist cake! Leslie, that makes me SO happy. I'm so glad they turned out well. And thank you SO much for coming back and commenting, I know other readers so appreciate the feedback! And me too! Happy weekend! Hi Leslie, the Brick Street Chocolate Cake recipe has now been adapted for baking in a regular, conventional oven. Find the updated recipe here: http://throughherlookingglass.com/conventional-ove…t-chocolate-cake/ Happy Baking! Can I use a Bunt Pan? Hi Michael, I haven't tried this recipe in a bundt pan. It may depend on the volume of your bundt pan. Here's a great article that can help you decide. http://kitchenencounters.typepad.com/blog/2013/07/-bakeware-essentials-a-bundt-pan-a-tube-pan-.html Please let me know if you do try baking it in a bundt pan and how it turns out, as I know others will want to know. Thanks for dropping by. Looks amazing and I was so prepared to try this recipe! But, I sure wish this recipe was for convection OR traditional oven. Not everyone has the funds to purchase a convection oven. But, everyone has a traditional oven. Too bad! Hey Tameka, I'm so sorry this recipe doesn't work for you. I know it's frustrating, because I only got a convection oven several months ago myself and had wanted to try this cake early last fall. Maybe you have a friend who has one? That's what I was going to do, bake it at a friend's house. But then my regular oven died and I was forced to buy a new one. Canyou use a bundt cake pan with this cake? Hi Christine - I haven’t tried this recipe in a bundt pan. It may depend on the volume of your bundt pan. Here’s a great article that can help you decide. http://kitchenencounters.typepad.com/blog/2013/07/-bakeware-essentials-a-bundt-pan-a-tube-pan-.html Please let me know if you do try baking it in a bundt pan and how it turns out, as I know others will want to know. Thanks for dropping by. Thanks, will let you know how it comes out. I don't have a tube pan, so wish me luck! Hi Christine, had a reader comment yesterday and she said she baked it in a bundt pan and it came out great. So good luck! Dear Caitlin -- you have just made many people very very happy with both of those comments! So folks, you heard the good news from Caitlin herself! And this makes me want to try it in my own oven on the regular setting. Thanks for blazing the trail Caitlin. Thank you Caitlin! I just knew there had to be a savvy baker out there that was brave enough to try this in a regular oven! I see Leslie tried too with success, but in a smaller portion! I just didn't want to believe these basic ingredients required a "special" oven! I can't wait to give this goddess of a cake a try! Thanks for dropping by Honoree and I hope you bake this cake. Thanks to Caitlin, the recipe has now been adapted here on the blog and you can see the post here: http://throughherlookingglass.com/conventional-ove…t-chocolate-cake/ Happy baking! Saw this amazing looking cake on Pinterest, and had to follow the link. I typically only use real chocolate bars in my cakes, but this look delicious enough to give the recipe go. Thanks for sharing & congratulations on your one year blogiversary. Hey many thanks Stacie, hope you love it! Hey Mary - thanks for dropping by. No dumb questions here. Honestly, I said baking cocoa to insure that no one uses hot cocoa mix! Ha. So maybe that was dumb of ME!! There are all different levels of bakers that come here, so sometimes I over-explain. Sure hope you make this cake! HA HA! Okay. Nope, no dumb explanations either! :D I certainly plan on making it. I can't wait! Thanks so much!! Brick Street Cafe is in my hometown, and No trip there is complete without one of their amazing desserts! Thank you for posting this. I'm so excited to now have the recipe for this menu favorite! Thanks Dana, I lived in Greenville for many years! Love the beautiful updated downtown and Falls Park, always a treat to come back and visit. Enjoy the recipe, and note that is has now been adapted for baking in a conventional oven also. Happy Baking! yes Mikayla - I use the term angel food pan and tube pan interchangeably - though I'm not sure if they're the exact same thing. My tube pan is in two pieces, the middle and bottom are one piece and set into the sides which are a separate piece. Hopefully we are on the same page! Thanks so much for dropping by, I hope you love this cake! This cake looks amazing! Can you use a bundt pan? I don't have a tube pan. Thanks. Hi Marie, I've not baked it in a bundt pan, but several readers have commented in that they have, and had good results! Happy baking! I just made this today, it's amazing. I didn't have cake flour but found a substitute online (ap flour with corn starch). I didn't have buttermilk either but had a powdered kind I used. I also ran out of sugar (!) but used brown sugar for the rest, only about 1/2 cup. I too, used a bundy pan. It was fine though it did spill over 1/2 cup or so. I also did only 1/2 the recipe of frosting which turned out to be plenty. Despite my substitutions it was so good. Moist and dense but not too dark. After I put on the frosting it looked like a great big donut! I'm pregnant with #4 and had been craving chocolate cake for a month. Thank you, thank you for posting this. I found it on a pinterest search and it was everything I wanted. I'm sure I'll make it plenty more. After the cake is baked, how long do u leave it in the pan before transferring to cooling rack? Hey Mertie, I would say 20-30 minutes... it's still warm (but not hot) when I take it out of the pan. Enjoy! This cake looks amazing! Thank you for sharing the recipe! I found it on Pinterest. I have a convection toaster oven....is that the same thing? I do see the revised recipe for a regular oven, so I'll do that if the toaster oven thing isn't recommended. Has anyone made the recipe for a regular oven and is it the same? Thank you, again! I'm so disappointed that you would bake a delicious looking homemade cake and then add the artificial coloring and flavoring that's in a box of instant pudding mix. I guess you also could've used a box of cakes mix with the putting mix as many Southern recipes do. I won't waste my time to make it. But my suggestion would be to take your time and make a recipe that uses a natural cocoa and sugar that is found in the pudding mix. Hi Melanie, the recipe I posted here is the actual recipe from the Brick Street Cafe in Greenville, SC. But I'm sure a pudding mix substitution could work just fine. I'm guessing Trader Joe's or Whole Foods has an all natural chocolate pudding mix for those with concerns. I also gave another reader Madiss, this link for a homemade chocolate pudding mix substitute: http://momsneedtoknow.com/how-to-make-homemade-chocolate-pudding/ Thanks so much for dropping by! We don't have pudding mix in Austrslia, could I make it without? Or what would you suggest to substitute? Hi Wendy, I think the pudding mix is what helps give this cake get its' great dense texture. I had another baker drop by from the Philippines who can't get pudding mix either. I suggested she make the mix from this homemade recipe I found on Pinterest -- just the dry ingredients of this recipe -- http://momsneedtoknow.com/how-to-make-homemade-chocolate-pudding/ and use 1/2 cup of this mix in place of the instant pudding mix. If you decide to try this, please comment back and let us know how it went! I hope it works perfectly. Thanks so much for dropping by and happy baking! Thanks so much for your quick response. I will try that. Used to love pudding as a child in Canada. Hi Sarah, many thanks for taking the time to comment. So glad you liked this cake. My family likes it even better the next day too. I made this cake tonight and it was so delicious! My husband who is pretty picky said it was the best chocolate cake he's ever had. Thank you for sharing the recipe! You are very welcome and happy to share, Kiana. So glad you both enjoyed the cake! Thanks for dropping by. Could you please share what brand of baking cocoa you use. I'm not a fan of Ghiradelli or Hersheys....thinking there may be another that gives a great chocolate flavor. Thank you, this cake looks amazing and really want to make it! Hi Teresa! I have to tell you that I did make this cake with Hershey's cocoa and had excellent results. But if money were no object, I might try Bensdorp Dutch Process Cocoa, here is a link: http://www.kingarthurflour.com/shop/items/bensdorp-dutch-process-cocoa-16-oz I have bought it at King Arthur Flour before and was very happy with it. Thank you so much for dropping by, hope you love this cake! I made this for my husbands birthday and it was fantastic! I made it in 2 8x8 pans for a double layered cake. I thought it might be a little too rich for us so I added some homemade blackberry jam as a filling between the layers. The jam gave the cake a lightly tart flavor that complimented the cake wonderfully. Since I made it in a regular oven I increased the heat by 25 degrees and cooked for an hour. Perfect cake, perfect icing, thank you for this awesome recipe! Hi Rena - that's awesome. The blackberry with the chocolate sounds like a fabulous combination. You are the first to bake in 2 8 X 8 pans so far. Or at least to comment about it here! I love a square layered cake. So unusual, I bet it was gorgeous. Thanks so much for commenting with times and temps - means so much to others who may be wondering. Thanks so much for dropping by! I actually was just looking for a really great chocolate icing recipe. I haven't tried the cake, but I can tell you with great conviction, this is THE BEST DARK CHOCOLATE ICING I've ever had... I did modify a little. I used 1/4 cup water and 1/4 cup triple sec. I also threw in a tablespoon of instant coffee granules and let it cook for a minute or so before adding the cocoa and sugar. To be sure the frosting wasn't grainy, I got out my electric mixer and beat it for a minute or so. Easy to spread. Absolutely perfect! Thank you! This sounds divine Michelle!!! I just happen to have some triple sec in the pantry too.... thanks for all the great ideas. I just took this cake out of the oven and it looks divine. My question is: do I let the cake cool completely before I turn it out of the pan, or do I have to turn it while it's hot? I have this cake in the oven now and it has overflowed terribly. It's a mess. I've never had this happen before. I followed the directions exactly and used a tube pan. Has anyone else had this problem? Oh dear, I have not heard of that yet with this cake! So sorry to hear that Karla. Do you know if your tube pan might be smaller than usual? Mine measures 9 " at the base and 10" across and is 4 1/4 " high. What a shame and so disappointing. If you were brave enough to try it again in that pan, you might consider making some cupcakes on the side to have less batter in the pan. Again, so sorry you had this bad experience. Have made this cake many times and it has not even reached the top of the pan. Thanks for the quick reply. My pan was a bit smaller, 7 inches at the bottom with other measurements the same. The pan was about 2/3 full. I think half the batter ended up in the oven. Once I took it out of the pan (which was quite a task! ), the cake is about 2.5 inches tall. It seems that after overflowing, it then fell. It has a very nice flavor, but is the ugliest cake I've ever made. And I've made a lot! :) I will definitely not use this pan to make this cake again, but I will give the recipe another try. Oh that's just awful. It's a terrible task to clean out baked-on cake from an oven floor, and I know it probably smoked too. :( You're such a good sport and I'm so sorry it wasn't a big success. Hey Allie! It made a huge house and the smoke...the neighbors probably thought my house was on fire. Lol. I thought of something this morning. I just moved to a place with a high elevation (6000ft). Maybe that was the problem. This was the first cake I've made since moving here and I've heard recipes may need to be adjusted for high altitudes. I'm going to research and see what I might do differently and give it another try AFTER I get my oven clean and my house loses the smoke smell. Lol. Even though it didn't work out properly, it was delicious. Well, I'm certainly glad it was delicious, if nothing else. :) Here is a link from King Arthur Flour about high altitude baking, perhaps it will give you some ideas. I've had excellent results with all advice from King Arthur, hope it helps. http://www.kingarthurflour.com/learn/high-altitude-baking.html Usually I suggest lighting a match for bad odors, but I don't think it will work in this situation, lol. I LOVE Brick Street Cafe's sweet potato cake!!! You wouldn't happen to have a recipe for that!? My sister and I have searched high and low for one that compares, but all other sweet potato cakes pale in comparison!! Hi Lauren, I just am seeing that I never responded to your comment here, my apologies. Somehow I missed it. No, I do not have that recipe for the sweet potato cake and I sure wish I did. But a friend of mine who blogs in SC talked to the owner of Brick Street about the cake, and then she went home and made one. She says it's pretty close to Brick Street's. Her name is Amy and her blog is www.SheWearsManyHats.com Maybe check out her recipe and see what you think! Any suggestions on high altitude? Hi Ashley, this is the guide I recommend: http://www.kingarthurflour.com/learn/high-altitude-baking.html I have not made this cake at high altitude, fyi. One reader did make it at 6K altitude without any modifications and it did spill over, fyi. I can't really experiment with it as I am not at high altitude, but the suggestions on the King Arthur article are very specific, hope you have success! Hi Cindy, Many people have baked this in a regular bundt cake pan with success. A few have had it overflow. I am not sure how to measure the volume of your bundt pan. My tube pan measure 9" across the base and 10" across the opening at the top and it is perfect. Your bundt pan should be about 3/4 full with cake batter, if it is much higher it may overflow. Also be sure to grease the pan well and dust it with cocoa powder for a good release. I hope you love this cake! Hey that is a great question Christina, and the first time someone has asked it. I always store it on my kitchen counter under a dome and it does great. I'm sure it would also do fine in the refrigerator. Hope you love this cake! I wonder if you can suggest what equivalent to your "instant chocolate pudding mix" I might find in England? We have a thing called "Angel Delight" which comes in variuos flavours. It's a powder that you mix with a pint of milk and leave for ten minutes to set. Is that anything like the same product? I can't imagine what might happen if you tried to bake with it! Hey Rob, thanks for your note. I am not familiar with Angel Delight so I really can't say. I did look it up on-line and it looks like the dry powder might be a good substitute, but I can't say for sure. Here is a homemade pudding mix recipe I found on-line, that might also work. http://momsneedtoknow.com/how-to-make-homemade-chocolate-pudding/ So you would use 1/2 cup of the dry pudding mix in place of the instant chocolate pudding mix. Readers in Australia and the Philippines were also having trouble finding the instant pudding mix. I hope you find something that works so you can make this cake! I can ALMOST taste this delicious, dark and decadent cake! Great job. OMG. I love chocolate. I love the way the ganache rolls down the sides. Decadent. Congrats on your anniversary! This cake looks fantastic! A few questions. Will regular flour work just as well? And would baking time be different for a bunny cake pan or regular 13 x 9? Thanks! Hi Whit, thanks for your questions. Are you sure you don't want to bake this in a bunny pan? Ha ha. I guess it's a late for Easter now. So will reg. flour work as well as cake flour. I don't know, the Brick Street recipe says to use cake flour. Cake flour is lighter in texture and it may affect the texture of the cake if you use regular. Here's a link about how to make cake flour http://www.food.com/recipe/how-to-make-cake-flour-424532, basically says to remove 2 tablespoons of flour for each cup of flour and replace with 2 tablespoons of corn starch. People have had great success baking this in a bundt pan. I would check the cake a little earlier for doneness though. Also please don't fill the bundt pan any more than 3/4 full of batter. The sizes of bundts are all different and some have had them overflow because the pan was too small, and that's a mess you don't want. Also be sure to grease or butter the bundt pan well and dust liberally with cocoa powder so it won't stick. No one has baked this in a 9X13" pan yet that I know of, so I can't answer that question, sorry. Thanks for dropping by! How does this cake freeze.? Would you freeze it iced? Or ice it before serving? Hi Bonnie - I have frozen it both ways and had good results. I froze an entire unfrosted Brick Street Cake, just wrapped it very well in foil, then double bagged it. Then I defrosted completely before I iced it. I also froze leftover slices that were frosted and it was excellent a few weeks later. I always make sure there is no extra air in the bags. Thanks for dropping by! Hi Jenny, I'm so glad you love the cake so much. Me too. I sure hope you'll try it and come back and give it 5 stars for real. Now THAT, would really make my day. I made Brick Street "dirt' individual parfaits for my boys prom last Saturday night. Fifty of them. I layered crumbled Brick Street cake, homemade choc. pudding and whipped cream. It was a garden themed prom, so the kids wanted "dirt cake." Wish I could attach a pic. here because gummy worms were hiding in the layers and gummy flowers were "growing" out of the dirt on green toothpicks... loads of yum and a little whimsy too. Thanks so much for dropping by and come again! I'm sure you can Pat, but I haven't tried it myself. It would likely change the texture of the recipe. If you can't get cake flour, you might consider making your own by removing 2 tablespoons of flour from each cup in the recipe and replacing it with 2 tablespoons of corn starch. That's a good cake flour substitute. Happy baking and thanks for dropping by! Thank you so much for getting back to me so quickly. Almost ready to bake this delicious looking cake, but I do have just one more question. Is the baking cocoa unsweetened? Thanks again! Sure thing, my pleasure. Yes, the baking cocoa is unsweetened. Hope you love the cake! This is probably a dumb question, but my ignorance should be forgiven as I seldom cook! When you say to mix in the chocolate pudding, do you mean just the powder or chocolate pudding that is prepared from the box in the materials list? Thank you, so much, in advance. I think this cake is going to be delicious! Hey Dustin - hope you love this cake. You want to use just the dry pudding mix. (Do not make it into pudding.) I will go into the recipe and clarify that. Sorry for any confusion - no dumb questions - each question helps me be a little clearer for the next person, thank you! Fabulous!!!! Beautiful display and such a rich taste. A very impressive recipe. 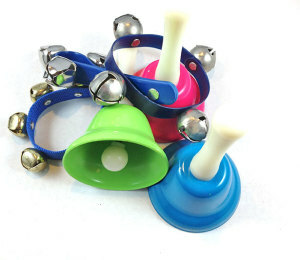 Can't wait to make it again at Christmas. YAY!!! So glad you like it Kathy. Thanks for dropping by! Hi Allie.. I made this cake today and unfortuntely it fell apart when I flipped onto a wire rack. The cake tastes amazing and I would like to give it another try. What precautions should I do when prepping the pan for flipping, wheb cooling and finally flipping? Hey Diana - how disappointing, so so sorry to hear that. Here's what I do. I grease and flour the pan well before pouring in the batter. Then after it bakes, I let it cool until just warm. Then I loosen all the edges that I can with a sharp knife. I have a two piece tube pan, the inner tube and bottom piece rests inside the outer piece. So I can loosen the edges with a sharp knife on the outside, around the center hole, and even underneath the bottom. Then I very gently turn it out. Hope you will give it another shot and that these tips work for you in removing it all in one piece. Thank you so much for dropping by. Hi! So I have been on the hunt for a go to chocolate cake and chocolate frosting recipie and this to me seems worth a shot! I read through all the comments in search of someone baking in a normal cake pan, say 8" round and making three layers to stack. I believe one commenter said she made it in an 8x8 and increased the baking temp and time in a regular oven. I have a convection oven and I'm wondering if you would have any suggestions to trying this recipie the way I specified. Do you think it will rise in the middle? Is it firm enough to stack? Any advice you have is grately appreciated! I'll let you know how it goes. Is the butter in this recipe salted or unsalted?? Thank you so much! Unsalted Alexis - thanks for dropping by and happy baking! Hi Alexis, somehow I never saw this question, sorry about that. I use unsalted butter in this recipe. Fahrenheit, Anna! Thanks for dropping by! Thanks Allison, yes - that's what I'm doing for Thanksgiving. We are traveling, so I'm making the cake tonight, freezing it so it will travel well, then covering it with the ganache when I get to Pennsylvania. I want the ganache to be fresh when served. Hope you love this cake and happy baking! I am making this cake for Thanksgiving tomorrow. Once I ice the cake do I need to refrigerate it or can it stay out on the counter ? Hi Bonnie - I don't refrigerate it. In fact, I made this cake for Thanksgiving too. It's sitting on the counter now and will travel all day in the car tomorrow to Pennsylvania. Wishing you a wonderful Thanksgiving! Thanks so much Allie! I'm looking forward to sharing this yummy cake with my family tomorrow. Happy Thanksgiving to you and your family too! How long do you beat the batter? I have made it twice and beat it for two minutes and it came out wonderfully. Hi Kathy - I cream the butter and sugar together on a higher setting and then mix it on a lower setting just until combined. Glad to hear two minutes works great - that's prob. about how long I do it. I just never timed it. Happy Thanksgiving! It was a big hit at work and home! This is my go to chocolate cake recipe from now on! YAY.. I Baked this one and its really good!!! my only concern is i want my cake to be dense,just how your picture look like...is it possible if i dont use baking soda or reduced it?thank you!!! Hi Belle - Glad you like the cake. I don't recommend leaving out the baking soda. You may want to cook it for a slightly shorter amount of time. I also sliced my cake for the pics when it was still slightly warm, which may contribute to that dense look. Hope that helps! Happy baking! oh thanks!!! how about replacing the butter into vegetables oil..coz i'm sure cake is moister if you used oil instead of butter...thanks! Hi, what can i use instead of instant pudding mix? i live in mexico and i can´t find it here. I had another baker drop by from the Philippines who can’t get pudding mix either. I suggested she make the mix from this homemade recipe I found on Pinterest — just the dry ingredients of this recipe — http://momsneedtoknow.com/how-to-make-homemade-chocolate-pudding/ and use 1/2 cup of this mix in place of the instant pudding mix. If you decide to try this, please comment back and let us know how it went! I hope it works perfectly. Thanks so much for dropping by and happy baking! Hi D - the recipe has been adapted to use in a conventional (regular) oven here: http://throughherlookingglass.com/conventional-oven-brick-street-chocolate-cake/ Enjoy! Hey Kathy - what a shame - hate to hear you had that experience on my site. I'm not supposed to any have pop-ups on my site at all, but every once in a while a persistent one sneaks into the ad network. The network is working on that, trying to find them and weed them out. It is a complicated process. I'm e-mailing you the recipe and I hope you'll enjoy the cake. Happy New Year! Hi Allie When you say half a cup of choc pudding mix does that mean half of cup of the pudding mixed or just the pudding powder? Hi Caroline, just the pudding powder!!! Not mixed. Hope you love this cake. I just want to add .. this is now the most requested cake in the family. That makes me so happy Pat, glad your family likes it. Many thanks for dropping by, and your comment! Allie, does the cake need to cool completely before being removed from the tube pan? Hi Debra - I usually let it cool until it's just warm - maybe 30 - 45 minutes. I also use a sharp knife to separate it from the pan wherever I can before removing. Hope you enjoy this cake and Happy New Year! Ooo...I'd love to Emily. I might have to make a special trip south to Brick Street Cafe just to taste it, maybe even request the recipe. :) They were so kind to publish the recipe for the chocolate cake in the newspaper. I'm also dying for their sweet potato cake recipe. Brick Street Chocolate Cake I hope this is as good as it looks. After having to open 6 new pages I finally found the recipe. That is so annoying. That IS annoying and I'm so sorry you had to deal with it. My ad network is aware of the problem trying to deal with this issue - it is a Walmart pop-up that is coded into another ad - they are working on it. Apparently it is happening on many many sites right now - I hope they find a solution very soon - there are not supposed to be any pop-ups on this site at all and it's driving me crazy too. Hope you enjoy the cake. Hi Allie, going to give this cake a try tomorrow for my mother-in-law's birthday. Do you know if this caked can be easily halved for a middle layer of icing? Can't wait to taste it after reading all the reviews! Thanks! Hi Ann - I haven't done that myself, but if I were going to, I might try waxed dental floss and pull it through, halving it horizontally - once it is completely cool. It might be easier to do if you are using mini chocolate chips. (I'm wondering if the floss will catch on the big chips.) Or maybe an electric or serrated knife would work fine too. The cake is very dense, so I don't see why it wouldn't halve pretty easily. I also know that another reader just baked this recipe as a three layer cake in 3 - 8" round pans (in a regular oven) - Here are her comments: "Hi Allie! I just baked this in three 8″ pans as proposed by a previous commenter. The batter fits perfectly in 3 round 8″ pans, and I did 15 minutes at 350F and 20 minutes at 325F (as the previous baker mentioned she did 25 minutes at the lower temp and it could have used slightly less). Mine were perfectly done at that point and look gorgeous. I torted them just now and the inside is beautiful with the chocolate chips. Unfortunately, I haven’t tasted it yet as it’s for a birthday this coming week. So all 6 layers are going into the freezer. Later on I will be using a chocolate buttercream along with the chocolate glaze you have here to fill and frost this beast! Can’t wait!" Hope this helps Ann, and a very happy birthday to your M-I-L. I hope she loves the cake! Thanks so much for getting back to me so quickly Allie and for the great suggestions! Will let you know how it goes! Hi Sharon - a lot of readers here have successfully made this in a bundt pan - I have not made it in a bundt pan myself. Just be sure to grease and flour your bundt pan very well, or use cocoa powder instead of flour. Enjoy!!! I just took the cake out of the oven and it smells amazing! I baked it in 3 8" floured and parchment pans in a convection oven at 350 for 20 minutes and then at 325 for 10 minutes. It was exactly enough time and the cake was pulled slightly away from the pans. On to the frosting! Hi Lanie - Not sure why you cannot see the instructions on my site - that is very odd. They are right below the ingredients list. I have copied and pasted them here for you. I hope you love the cake! Preheat regular, conventional oven to 350°. Beat sugar, butter & vanilla in large bowl. Beat in eggs. Mix in cake flour, baking cocoa, soda, salt, chocolate pudding and buttermilk. Stir in semi-sweet chocolate chips. Pour into greased tube pan. Bake in regular, conventional oven at 350° for 30 minutes. Adjust baking temperature down to 325° and continue baking 30-40 minutes more, until cake tester comes out clean. (Check with cake tester at the one hour mark.) Cool cake completely before icing. 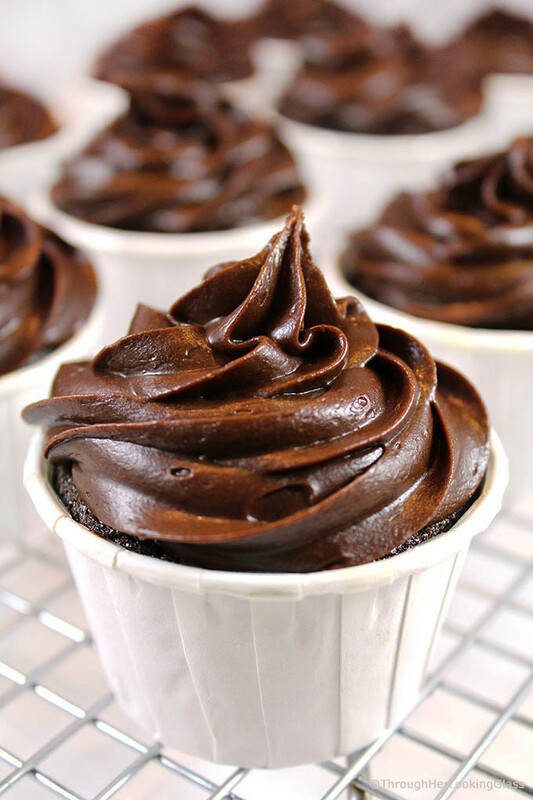 Chocolate Icing: Heat water, butter and vanilla together in sauce pan on stovetop until melted. Remove from heat. Stir in one cup cocoa. Stir in powdered sugar, sifted. Stir in heavy cream, up to 3 tablespoons (or more) until you get the desired consistency. Ice cake by filling the hole in the middle of the cake first, then spread icing over cake top and pour over the sides. Icing will harden as it cools. This is now my go-to chocolate cake! My husband wants it all the time! Oh dear Tara - it has to be at 350° F. SO sorry to hear your cake burned. :( Our measure of heat here in the US is always Fahrenheit and I'm sorry there was any confusion. So I made this tonight....the cake was great, but my "ganache" was horrible. It wouldn't mix well in the pot so I switched to my mixer & ended up with super sweet frosting....not what I wanted at all.... The kids liked it...but who doesn't like chocolate? Next time I think I'll just make a regular ganache to go on top. Hey Devin - so sorry to hear about your ganache. I've honestly not heard of that issue yet and I haven't experienced it myself. But I'm so glad the cake itself was a success and thanks so much for dropping by and for the feedback! Can this me made in a 9x13 pan? I do have a convection oven, but wanted to make multiple cakes and I only have one tube pan. Hi Rmillera - I've made this in a 9 X 13 pan when I was using a Brick Street cake to make "dirt cake" for a prom - I can't tell you the exact time difference to bake it though - I can't remember. I've never baked two Brick Street Cakes at the same time. Is that what you were thinking? I'm not sure how that would affect baking time either. I know you are ok to bake it in a 9 X 13 , but you should pay attention closely to the timing...start checking it after 40-45 minutes just to be safe. (But I have no idea what the timing would be if you baked two cakes at the same time, sorry.) Best wishes! Does the cake need to beg kept in the refrig. No, sometimes I keep it in the fridge because I want a cold slice of chocolate cake. It's fine either way though. Enjoy and Merry Christmas! 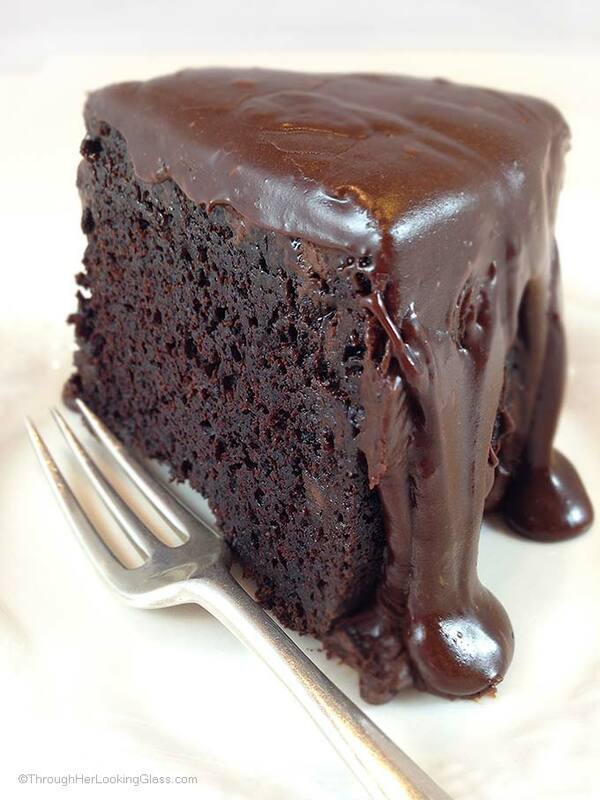 This is an amazingly heavenly chocolate cake. I made it using my new bundt pan, thought it was big enough, it wasn't. It was oozing down the middle on bottom of my concection microwave . At least it was an easy clean up. Other than that lottle mishap, the flavor is out of this world. One of the best chocolate cakes I've ever baked and easy. The ganache on top just made it taste even better. Awesome, awesome awesome!!! Is it REALLY 1 FULL CUP of baking cocoa?? It kinda sounds ridiculous but maybe thats what it is a "Brick" chocolate cake? It really is, Kathy! It's a very chocolaty cake. Hope you enjoy it and Happy New Year! Just wondering if there is a substitute for the chocolate pudding mix. We live in the UK, and they don't sell it here! Thanks. Hi Sarah - here is a recipe for a dry pudding mix http://momsneedtoknow.com/how-to-make-homemade-chocolate-pudding/ Just use 1/2 cup of this mix in place of the instant pudding mix. Hope you love this cake - it's been a real hit at our house! Have a great weekend! Hi, I just took this out of the oven and it smells great! I have a few questions though. I had the small pudding mix and measured out 1/2 cup, is that correct or was I supposed to put in the entire package? Do you only grease the pan and not flour it? What type of cocoa did you use to get it so dark? Regular unsweetened, special dark or dutched? Thank you. In step 2 of cake batter instructions, it reads: Beat sugar, butter & vanilla in large bowl. However I don't see a quantity of butter listed. I am very frustrated at this point UGH! It is 1 cup of softened butter Jill. I can't imagine why you can't see that in the ingredient list. Yes, very frustrating. I will e-mail you a screenshot of the ingredients for the recipe. Any idea whether this works at high altitude? It looks divine! Hi Amy - I'm not at high altitude so can't experiment here, but I've had others ask that same question and I always refer them to this page from King Arthur Flour. https://www.kingarthurflour.com/learn/high-altitude-baking.html They have a chart that helps you adjust and adapt based on your altitude. I hope it's a big help and that you have great success with this cake! Would LOVE to hear how it went, so if you get a chance, pls. fill me in. Many thanks and happy baking! Oh dear! Your oven. So thankful it was your oven only that was on fire, Jan. And that you got a new double oven with convection. How fun, so happy for you that all ended well. I do not have experience baking with high altitude myself. I live in NH so would have no opportunity to test adjustments. But here is my favorite site that gives tips on baking with altitude adjustments. King Arthur has never steered me wrong, hope this helps. https://www.kingarthurflour.com/learn/high-altitude-baking.html So glad you dropped by, enjoy the cake, and I'll drop by your site and say hello! Hi Allie, It’s Thanksgiving Eve... if that’s a thing? This is my second time making this cake. I made it about a year ago for my son’s PTA bake sale and it was a huge success. I just moved to the Greenville area from Los Angeles and stumbled upon your recipe coincidentally. I noticed this time around that the bakery the original recipe hails from is local to me. I thought that was so cool since I made this before I even knew I would move here. On to my question. Will too much heavy cream in the ganache keep it from hardening? The cake was still absolutely delicious, but I couldn’t get the icing to harden. Even in the fridge it stayed pretty fluid and soft. Can you maybe give me an insight on what I am doing wrong? Thank you so much. I will be following you and your blog. My oldest child is autistic and he is my heart and soul. Well, to be fair all my children are, but I love being able to see the world through his eyes and perspective. I’m always looking for women to inspire me in my walk in motherhood and life. I'm not someone that loves chocolate. It's OK. But I never crave it. Well, I stumbled upon this recipe before Christmas and decided to make it for my family Christmas dinner. Your post had me intrigued. It was a HUGE hit! My Aunt also doesn't love chocolate and both of us were saying how we couldn't get enough of this cake! I did use my convection oven and made no modifications to the recipe. I look forward to having an excuse to make it again. Absolutely amazing. KIM!!!! You totally made my day. I'm so happy you and your aunt enjoyed this cake so much. It's a hit around my house too. Thanks so much for dropping by. Wishing you a Happy New Year another slice of Brick Street cake! Followed recipe to the tee. 3 stars. Icing was great. However the cake was a bit dry and not dense. More like a American box cake Sorry. Don’t think this works for the cost and end product. Maybe we will add vanilla ice cream and try to enjoy it. Thanks for dropping by Regis. This cake has been made thousands and thousands of times with excellent results and reviews. In fact, it's the best chocolate cake I've ever had. I wonder if you may have over mixed it? Extra air whipped in could easily cause the cake to lose its denseness. This cake should be thick and dense as you can see in my photos. I'm sorry it didn't work for you but hope the ice cream helped! Just made it tonight and it’s totally awesome. Nodt dense but I probably mixed it to much and it could have cooked another 10 minutes, I think. Everyone loved it!!! Thanks. Hi Allie, I want to make this in two 8 or 9 inch pans. I've seen where people have made it in a bundt pan and a 9x13. Have you tried it in two round pans yet? I then want to turn it into 4 layers. I don't own a tube pan.